Jason Gates developed a passion for the waste and recycling industry at a young age, when he would patiently wait near the window in his home for the garbage truck. Gates has parlayed that youthful interest into a career by establishing Compology, a San Francisco-based hardware and software company that specializes in solutions for waste haulers. As founder and CEO, Gates, and Compology Cofounder Ben Chehebar, have built a team of young, talented engineers to develop sensor technology based on image-capture to track the fullness, location and motion of commercial and industrial waste containers. 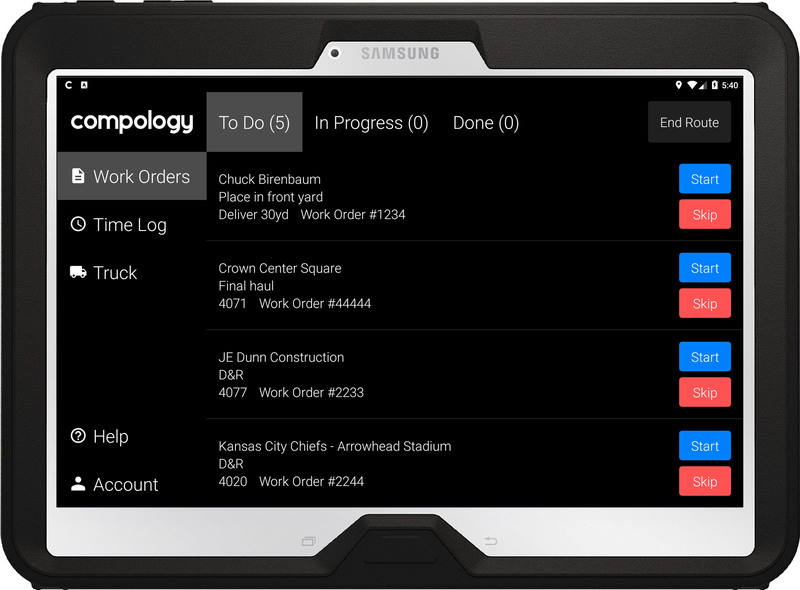 The sensors feed real-time data to Compology's web-based software dashboard, where haulers can make timely, data-driven decisions to improve operations and customer service. Recently presented with a Waste360 40 Under 40 award for his contributions to the industry, Gates sat with us to discuss Compology’s container monitoring solution, the challenges he faced while starting the firm and what we can expect to see from the company in the future. Waste360: What drew you to the waste and recycling industry? Jason Gates: I have had an interest in the industry since I was a kid, but I actually began my career working in the construction industry in New York City managing construction and demolition debris boxes, and that helped me appreciate the importance of waste collection and how the industry could benefit from using technology. I think the reason Compology came together so successfully is because I spent a lot of time interacting directly with the haulers and learning about their challenges and goals. Putting myself in their shoes really helped us craft a technology solution that makes day-to-day tasks more efficient for haulers, resulting in streamlined operations and better customer relationships. We’re really excited about the benefits of our roll-off focused product, where haulers have seen cost reductions of nearly $50 per container per month. Waste360: Tell us about some of the software solutions that Compology provides to waste haulers and how those technologies can help improve operations. Jason Gates: Compology's sensors and software give our customers a way to clearly see the location, fullness and motion information about their containers. Operationally, we help haulers make data-driven decisions to better manage container inventory, avoid dry-runs and anticipate haul schedules to save money and meet customer demands. All of our technologies are built by our in-house team of world-class hardware and software engineers and world-class software engineers who make product decisions from both a technology perspective and an industry application perspective, which allows us to adapt quickly to changes and continuously improve our products. Waste360: What are some of your responsibilities as founder and CEO? Jason Gates: I spend most of my time with customers to understand how Compology can bring more value to them. Connecting with our customers is the key to our strategy decisions, from what products to build to which market we should be our focus. Honestly, the days that I learn the most are when I am out in the field visiting our customers’ drivers. When I’m not with customers, I’m back at the office with my cofounder Ben working alongside the rest of our exceptional team building best-in-class tools and provide elite support for our customers. Waste360: What are some of the challenges that you have faced when starting Compology and how did you overcome them? Jason Gates: I think anytime something new is introduced to an industry there is a period of skepticism. 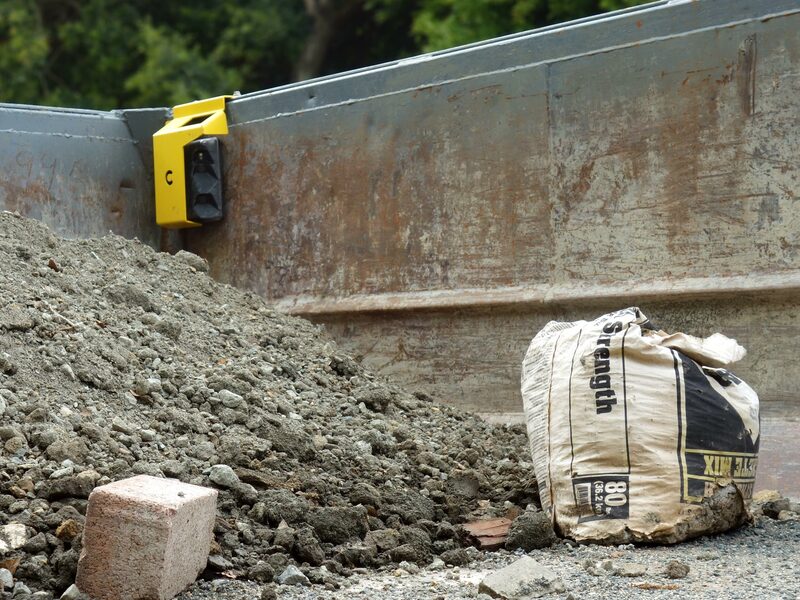 Just like we did in the early days, we continue to work hard to exceed customer expectations. Learning exactly how to transition a business onto a technology platform is one of the most exciting and difficult challenges that we deal with, and we’ve learned that change doesn’t have to come all at once. If you are able to deliver on an immediate need with little friction, it’s easier to then transition that business to your technology platform over time as their level of comfort raises. Usually, you either want to be all digital or not digital, but being able to be a good partner and accommodate the hybrid approach is one thing that makes Compology unique. Waste360: With so many technologies being rolled out in the industry, how is Compology staying on top of the competition? 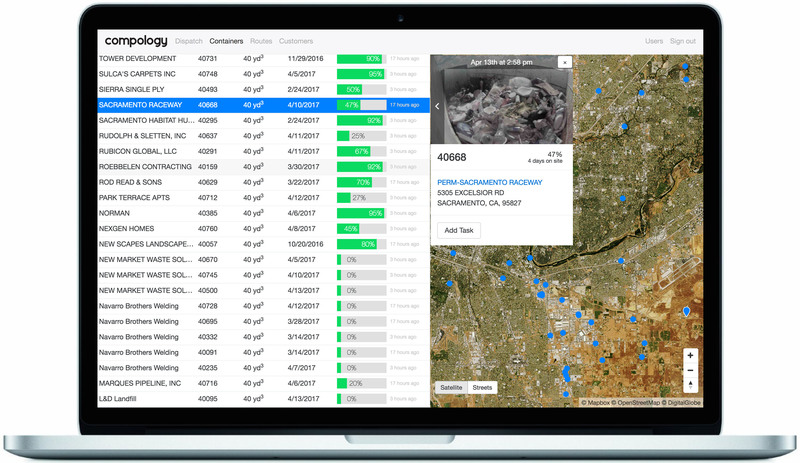 Jason Gates: In addition to a customer-centric approach, our product provides a unique value in its ability to provide high-res images of what’s going on inside a waste container. There’s an expression that “a picture is worth a thousand words,” and we have found that to be true with our customers. Having an image associated with data allows our customers to look at their data from a different point of view, ultimately helping them to streamline operations, enhance customer service and improve documentation and verification practices. As a thought leader and member of the technology community, Compology welcomes the opportunity to partner with other technology providers in the industry. I think it’s reasonable to assume a company may already be using some type of technology in its business, and we want them to be comfortable using Compology as an addition to its current technology as opposed to a replacement of its technology. Waste360: What can we expect to see from Compology in the future? Jason Gates: We wanted to be the trusted software platform for the waste industry, and we plan to continue to expand our footprint with haulers in open and competitive markets. I’m also excited to announce that we are going to be including Compology in a number of franchise agreements. We are already working with some haulers and municipalities on franchise agreements on the west coast, ultimately helping haulers simplify their contract compliance with regulations that are put in place. We are also working with the regulators to efficiently get them the information they need to accurately track progress toward meeting diversion and environmental goals. Compology also has a great partnership with Wastequip, which allows customers to get new roll-off containers delivered directory from the factory with our technology preinstalled. We will be showcasing that technology at booth #2247 at WasteExpo. Waste360: As a young member of the industry, what advice do you have for others looking to enter the industry? Jason Gates: One of the striking things about the business is how many smart and helpful people are working in the industry. If you are confused about something, you can just ask those who have been in the industry for a while and they are happy to help you out. I have found that the most beneficial conversations have been those relatively informal conversations that I have had with people out in the field or at an event. My advice would be to get out there and start making contacts with the people who have years of industry experience and plenty of information to share because that information is valuable and will help you as you progress in your career.